OIT has focused on key areas of technology and IT capability we call “strategic enablers.” An investment or improvement in these technologies benefits a range of services and abilities. Our Enterprise Service Bus conceals the complexity of our business data, offering a real-time view of the university’s resources. Data-driven decisions mitigate risk, allow faster response to needs, and provide strategic data toward shared governance. Cloud services and the fractional-use model allows for cost-effectively meeting routine needs and a scalable response to peak demands. 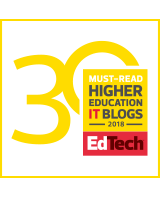 Self-service tools allow faculty and staff quicker turnaround on common issues, and free support staff for more technically demanding roles. Finally, workforce adaptability allows for more robust service support, flexible work assignments, and readiness for new technologies. In collaboration with our vice provost for Teaching and Learning, we are developing classroom technologies and contemporary learning spaces, as along with the business processes to allocate scarce resources to the instructional activities that can make the best use of them. UCI recently opened a new instructional facility focused on active learning pedagogy, the Anteater Learning Pavilion. In partnership with the Office of the Vice Provost for Teaching and Learning, we helped launch a new training program for interested faculty so they can be ready to make optimal use of the modern classroom technologies there. The campus’s new learning management system, built on Canvas, is being designed as an integrated ecosystem, allowing the interplay of new tools with legacy home-grown systems that remain popular. We have also deployed YuJa campus-wide for lecture recording and distribution. Representing an overlap between business intelligence and instructional support, UCI’s Comprehensive Student Success (COMPASS) initiative is providing institutional insight into key educational metrics such as retention, completion rates, time to degree, demographics, and student success risk factors. In collaboration with the Office of Research, the new Research Cyberinfrastructure Center (RCIC) and its new director are investing significant effort working directly with researchers to support their customized software requirements, optimizing utilization of computing and storage, and facilitating more complex workflows. We have a new high-performance, secure research storage pool with offsite synchronization, and are developing a next-generation computing cluster. The campus has begun a multi-year plan to provide robust and resilient network, storage, and computational resources to the university. Tactics we are using now and introducing over the next few years include lifecycle planning, eliminating legacy systems, improved data center infrastructure, migration to cloud services, secure collaboration tools, more granular allocation systems (micro-segmentation), intent-based networking (access as a function of university role), self-service, and improved alignment of service charges with real costs. We continue to transition to offsite data backup, offsite failover services, and cloud/hybrid solutions. All new services are designed from the beginning with a DR strategy. We are following the NIST Cybersecurity Framework. Identify – while our data are still incomplete, our security risk assessment Qquestionnaire continues to improve our ability to recognize and secure sensitive information. Protiviti scanning and a program of denying network access (after fair warning) to vulnerable systems has improved our risk profile. Protect – we have upgraded our firewalls viz. UCOP guidelines, and promoted single sign-on and multifactor authentication. We’ve conducted an anti-phishing awareness campaign, and encouraged compliance with UC cybersecurity training requirements. Detect – we are using Splunk to collect detailed network logs and have deployed a tool for users of campus authentication to track use of their netID. Respond – we have conducted simulation exercises testing our plans and communication/coordination skills. Recover – we continue to build out our disaster preparedness program at UCI, with new applications and infrastructure gaining resiliency as we incorporate our cloud first strategy. Services that aren’t used aren’t services. We are increasing effort in service awareness and utilization and improving the quality of campus communications. We have instituted an annual service health inventory, and in this fourth year are beginning to collect trending data. We continue to develop self-service options to improve time-to-resolution, and aligning services with campus needs through a periodic customer satisfaction survey based on the Balanced Scorecard research model, which includes announcing the changes we are making in direct response to the feedback received. For more information about UCI’s IT roadmap, please Associate CIO Kian Colestock. 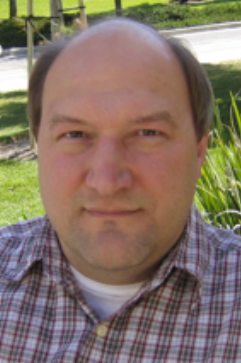 Lyle Wiedeman is technical communications lead, Office of Information Technology, UC Irvine.